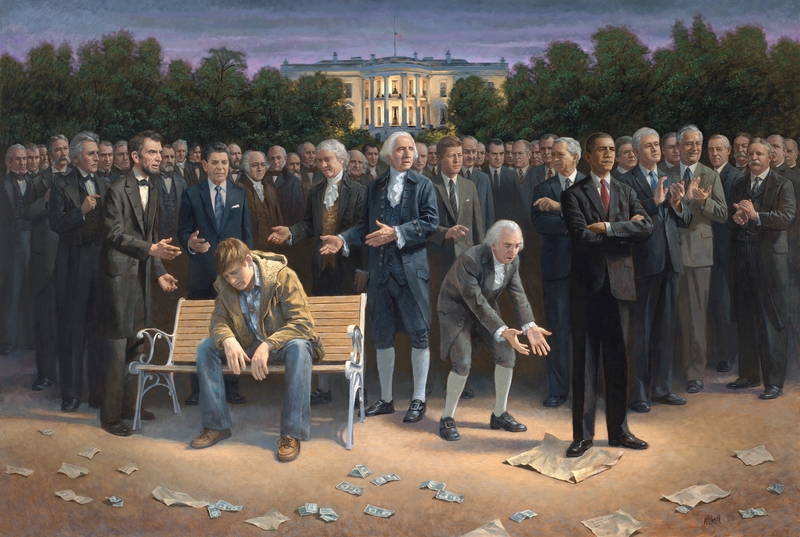 Jon McNaughton is not afraid to inject some politics into his beautifully rendered paintings. That those politics are distinctly Tea Party is what makes his paintings so contentious amongst the snooty leftist sorts. â€œFor a long time I didnâ€™t know if I wanted to paint this picture, because I worried it might be too controversial,â€ McNaughton explains in a voice over. â€œ(T)his man (on the park bench) represents every man, woman, and child who is an Americanâ€¦ he hopes to find the American dream of happiness and prosperity. The painting he is referring to is the first of a pair, and it is called “The Forgotten Man” (alluding, perhaps, to the Amity Schlaes book of the same name , a free market history of the Great Depression). 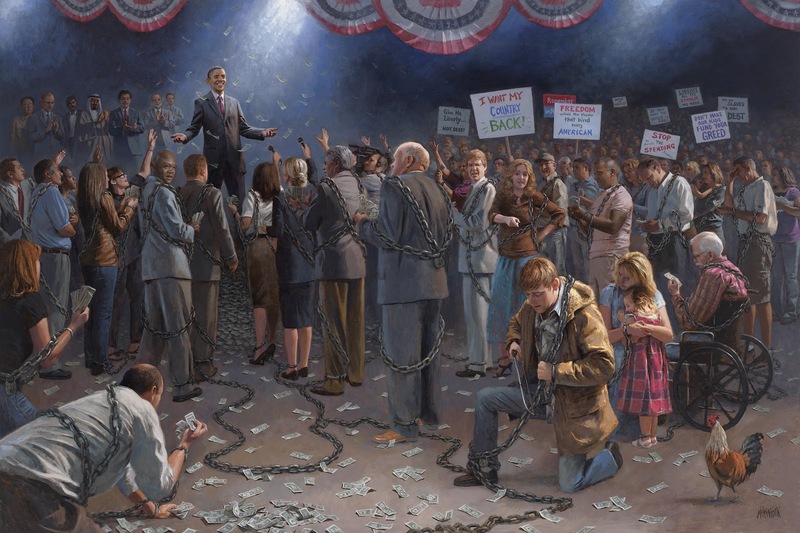 Â You can see it below, or in more detail atÂ McNaughton’s website. There is no shortage of novels devoted to the outdoors whose stories appeal toÂ backpackers, campers and hikers (the granola sort, we call them in Colorado). ItÂ takes only a minute’s thought to conjure up such titles as Into the Wild, Hatchet, orÂ Hemingway’s famous short story, Big Two-Hearted River. Many of these seriously andÂ studiously explore nature as a vast healing power, a thunderous force not to be trifledÂ with, or a dangerous coming of age challenge. Rare are those stories that depict nature with a lighthearted chuckle, to be respected,Â sure, but also to be enjoyed by people who know what they’re doing in the GreatÂ Outdoors. Rarer still is such a story written from a free market, libertarian perspective.Â Luckily, author J.D. 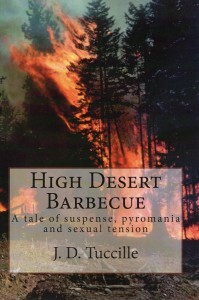 Tuccille has taken it upon himself to rectify that deficit with his newÂ novel, High Desert Barbecue .